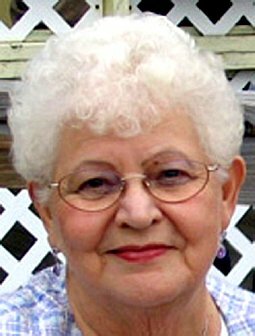 CEDAR FALLS, IOWA - Shirley M. Andorf, 81, of Overland Park, Kansas, formerly of Cedar Falls, died Sunday, December 2, 2012, at University of Kansas Medical Center, Kansas City. She was born January 31, 1931, in Charles City, daughter of Henry and Elizabeth Springer Caruth. She married Lewis Warren on June 10, 1950, in Charles City. He died August 5, 1976. She married Robert Andorf on September 5, 1981, at St. Patrick Catholic Church, Cedar Falls. He died February 21, 2007. Mrs. Andorf graduated from Charles City High School and worked for many years for both the Cedar Falls School District and the University of Northern Iowa, retiring in 1991. Survived by three daughters: Cheryl (Doug) Dvorak and Theresa (Rick) Geving, both of Overland Park, and Nancy (George) Meyer of Apollo Beach, Fla.; six grandchildren; 15 great-grandchildren; and a sister, Irene Kepple, of Charles City. Preceded in death by three brothers: Cecil, Harold and Bill Caruth; and four sisters: Roseann Caruth, Marion Jeanetti, Ruby Canneli and Alice Grady. Services: 10:30 a.m. Friday at St. Patrick Catholic Church, with burial in Greenwood Cemetery. Visitation from 5 to 7 p.m. Thursday at Dahl-Van Hove-Schoof Funeral Home, with a 5 p.m. rosary and a 7 p.m. vigil service. Visitation also an hour before services Friday at the church. Memorials may be directed to the American Cancer Society or the American Heart Association.